Since August is coming to an end and the school year is now fully in swing for most students, we figured that it wouldn't hurt to tell you about the some of our recent discoveries! We hope to make Notable Discoveries a series where we round up our favorites, obsessions, and anything that is currently on our radar each month. 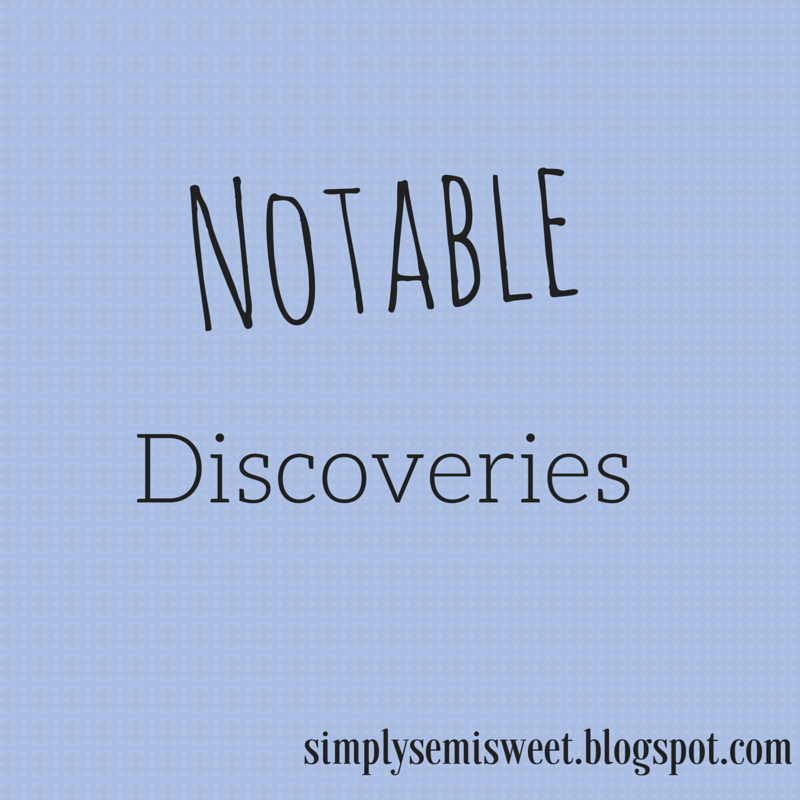 Today, we have our Notable Discoveries for the month of August! We just recently discovered this blog and we absolutely LOVE it! We love anything and everything inspirational and positive. Trying to stay positive is key to leading a mentally happy and mentally healthy life! This blog even offers courses on things like self-esteem, social skills, and more! Eloy's "For The Love Of Cashews"
We can't tell you how many bags of these delicious cashews our family has in our pantry at the moment. We have a slight (or maybe not so slight) addiction with these amazing flavored cashews. We get them from Costco so if you have one in your area, be sure to go check out these yummy cashews! From tips to stories, Huff Post Teen has it all lined up. This website truly has something for everybody. As we were scrolling through the website, we found many articles that caught our eye. Anything from celebrities, to organization can be found here. Especially with the start of the school year, many people tend to look on the negative side of everything. "Why do I have this test tomorrow?" or "Why don't I understand anything?" are constant thoughts that have been racking our brains recently. So here are some positive reminders that will help you (hopefully) no matter what state you're in currently! A friend recommended this author to us since we have a major interest in psychology and really deep books. We instantly fell in love with this author and her books! We recommend this author to anybody who loves reading about teen struggles with very relevant problems that are found in society today. This lovely product has saved our hair on our numerous bad hair days. Dry shampoo is perfect for people who don't like washing their hair everyday. It is best not to wash your hair everyday in order to keep it healthy, but you don't want greasy hair, do you? That is where dry shampoo comes in handy. It definitely gives your hair a burst of freshness and it eliminates some of the grease as well. Do you have any recent Notable Discoveries? Thank you so much for the kind words! You're too nice!